Every time I would walk out my front door to my car, I would look at this leaf. I was mesmerized by it. This went on for weeks. It seemed to carry such a burden with the snow that would fall on it and the wind that would whip it around, yet it just didn't seem to want to give up. It amazed me, and it held on through some serious snow storms in the Winter of 2009. I took this on January 23, 2009. So, it lasted through months and months of snow. And, it lasted for about another month after this photo. 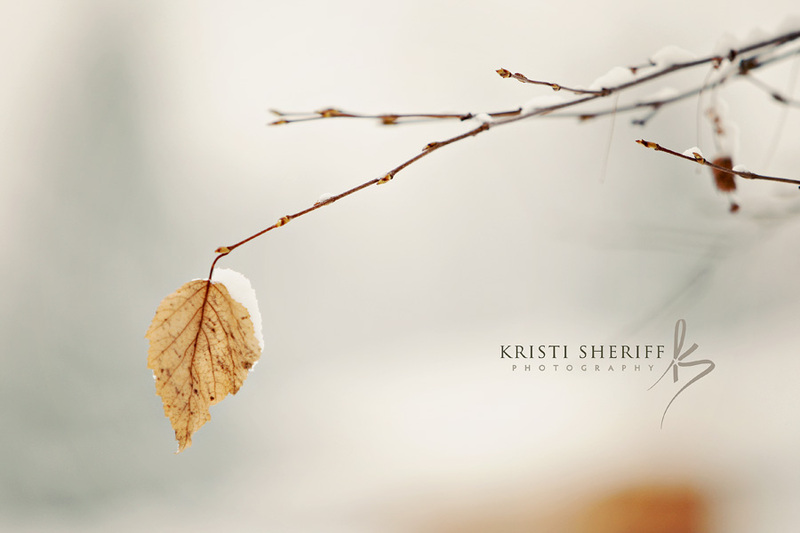 Amazing what a little old leaf can teach you about perseverance! I am glad winter "seems" to be over here already this year. Next post will be about SPRING! When I was in college, my photography professor would make comments about how he didn’t want us taking photos from the car. It was a huge NO-NO! But, as I drive around this beautiful countryside we live in, I always see scenes that I think that would be so beautiful if I could only capture it forever in a photograph. Well, anytime I try to stop and find the view I saw when I was driving/riding it always seems like it just disappears, and I can never find the beauty that I saw while I was driving. It’s so fleeting and elusive to me. Please tell me this happens to you too! Or maybe I’m just being a rebel from my college days. Regardless, I have visions of grandeur that I’ll capture the most amazingly beautiful landscapes, but really I am not much of a landscape or still life photographer when it comes down to it. I can see it in my mind but I cannot seem to capture it. I seem to do much, much better photographing portraits of people. And, I will keep that as my day job in case you’re wondering! However, I still want to become a better landscape and still life photographer. Just like it takes years and years to learn how to take photos of people correctly, I guess it is the same for landscapes. Sigh! So, I’m going to start this section on my blog called Art From The Car! Then, hopefully, it will motivate me to learn a little more in this area. And, I can use it as a journal to look back to see if I am progressing at all or if I should just quit while the quitting’s good :). Some photos might be while I’m in the car (as a passenger of course), or just a hop, skip and a jump away from the car. With twin toddlers I don’t have much time for lengthy photo excursions very far from the car right now. Here are a couple from my first attempt! And, yes, I was the passenger while the car was moving for this first shot. 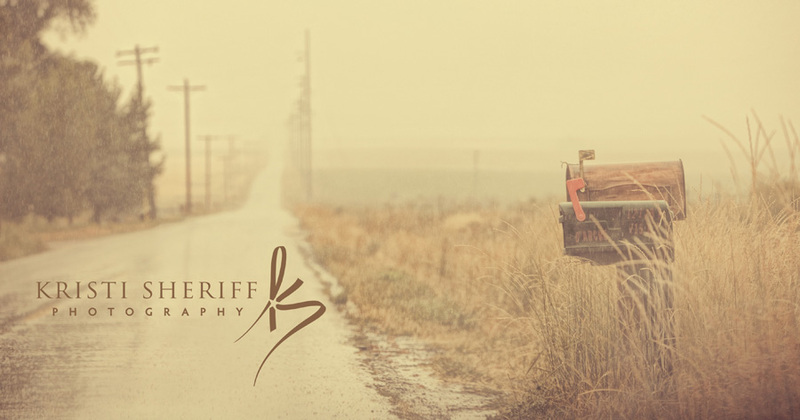 A really long road that I love out towards Ririe, Idaho. It looks cool when it rains. We had so much fun during the first Mini Headshot Sessions (you can see the images HERE), that we couldn’t wait to offer them again. 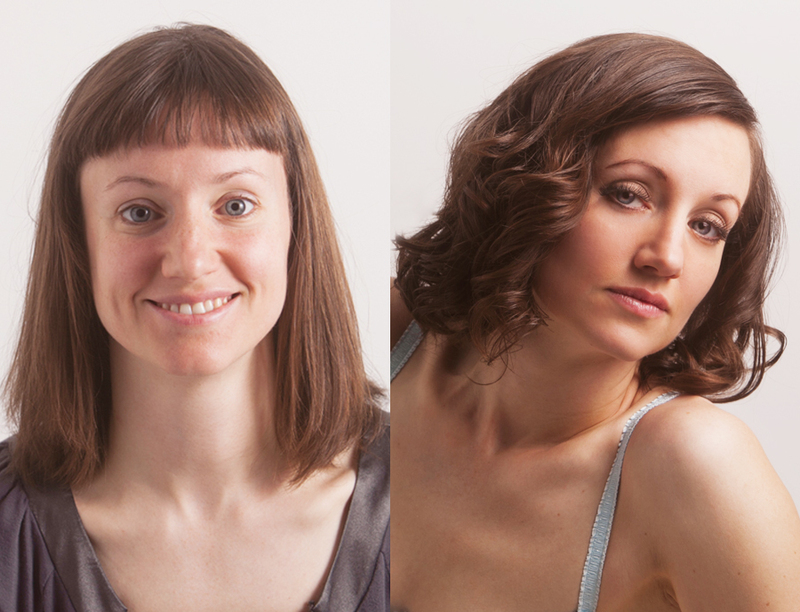 We found some GREAT models during those sessions too. Our database is growing quickly, but we still need a larger variety of ages and sizes in our database. 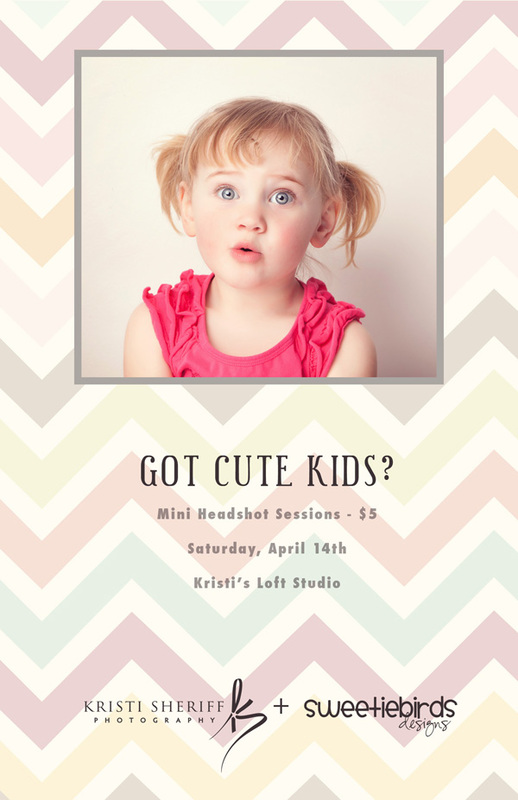 So, we are announcing our second date for Mini Headshot Sessions – Saturday, April 14th, 2012. If you think your child has what it takes to be a model, please sign them up HERE. The session is $5.00 plus tax for 5 minutes in front of Kristi’s lens. Then, Kristi chooses her favorite image of your child and posts it to Facebook HERE. Please bring your child dressed and ready to go. 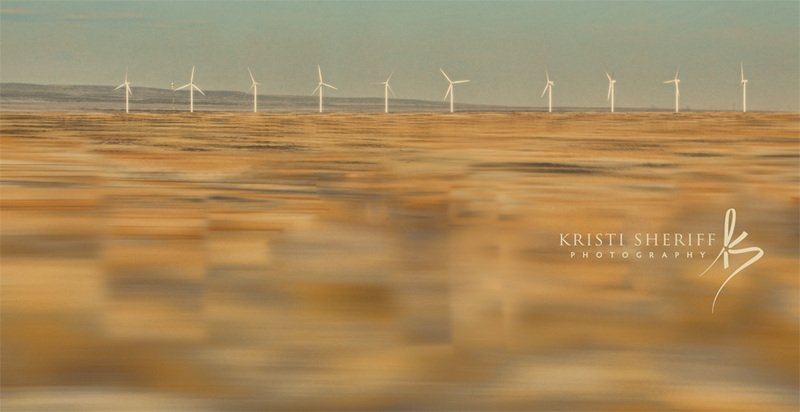 Kristi will have two backgrounds set up for this. One will be all white and the other will be a faux wood looking floor with a natural/neutral colored background. Think spring if you want the faux wood floor background. Or, if you just want a nice portrait of your child but you are not interested in having your child be a model, these sessions are a great option for that too. Special packages will be available the day of the session. To sign up for the Mini Headshot Sessions click HERE. WOW is all I can say for the planning that went into this shot. I love that the mom picked out a very timeless and classic color scheme for this portrait session and it all coordinates perfectly with the location. Color harmony is a BIG part of my photography style. Of course, it helps that this mom has a background in art. 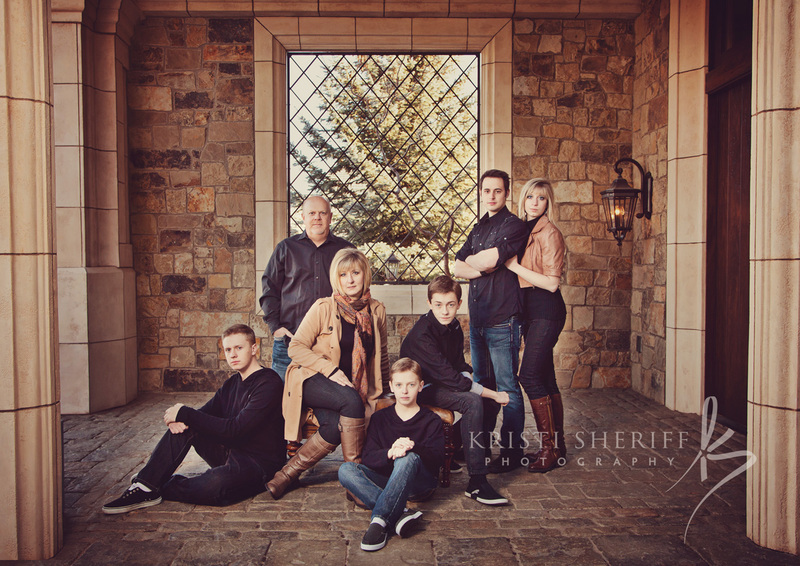 However, if you have questions about how to plan your family portrait session, just give me a call at 208.542.1089 and we can work on it together. This is what I love to do; create classic and timeless art of your family that is modern all at the same time. It’s all in the details!